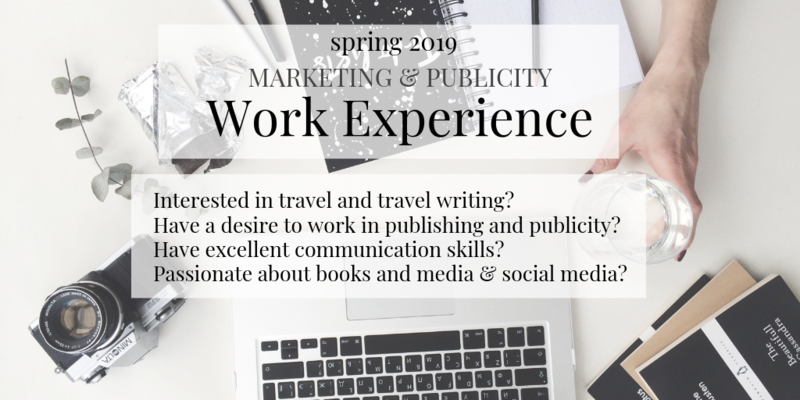 We’ve got four w/e slots available in March and April for those with a massive interest in publicity, marketing and media communications. Responsibilities include: market research, developing media lists, drafting copy, writing blog posts, and posting on social media – all focusing on our Culture Smart! travel range! Lunch and expenses will be reimbursed – placements are 2 weeks long max. Based in North London, we are a small publishing AND distributing company. Our small, friendly team would love to hear from you, so if you are interested, please send over a SHORT cover letter and your CV to lena@kuperard.co.uk with your availability. Early applications will be prioritised – we look forward to hearing from you!